Item # 298441 Stash Points: 5,495 (?) This is the number of points you get in The Zumiez Stash for purchasing this item. Stash points are redeemable for exclusive rewards only available to Zumiez Stash members. To redeem your points check out the rewards catalog on thestash.zumiez.com. 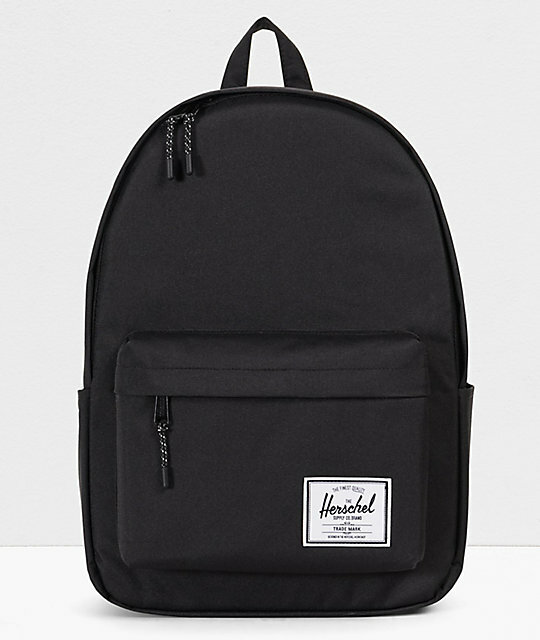 Herschel Supply Co. brings you a durable backpack with the Classic XL backpack. 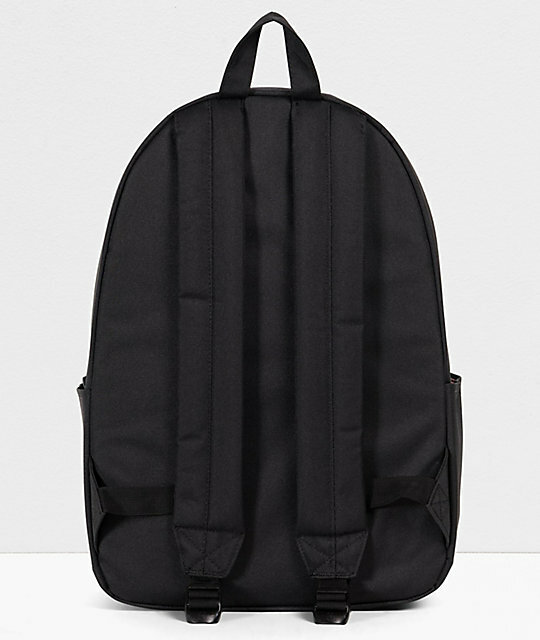 This black canvas backpack offers 30 liters of space via the main compartment complete with a 15" laptop sleeve and the front pouch pocket which features organizer pockets and a convenient key clip. 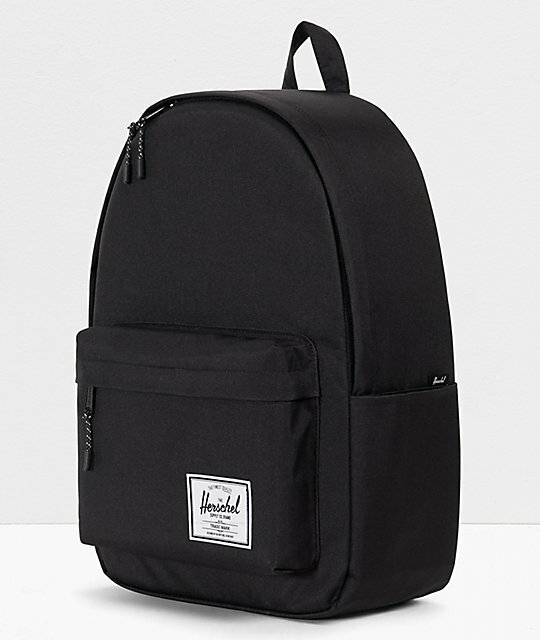 This book bag is finished with a Herschel Supply Co. brand tag at the front pouch pocket. 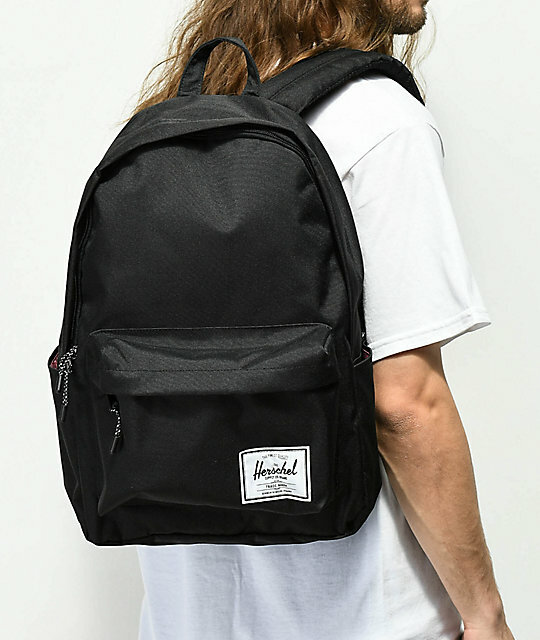 Classic XL Black Backpack from Herschel Supply Co.
Front storage pocket w/ organizers and key clip. 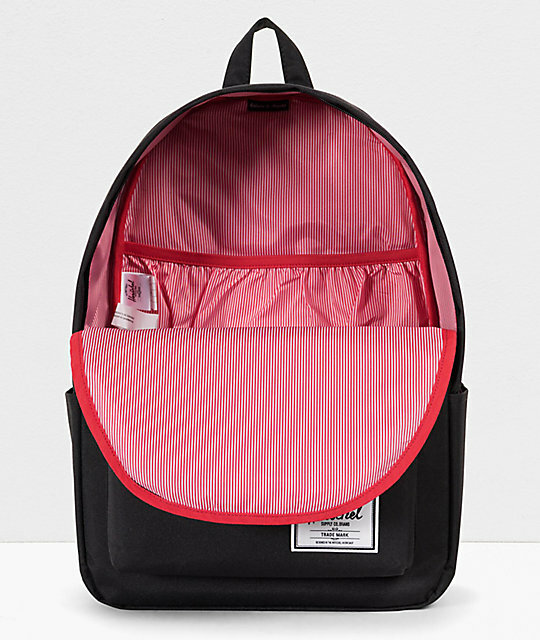 Large main compartment w/ internal laptop sleeve. Adjustable air mesh padded shoulder straps. Haul handle for easy carry. Two side water bottle sleeves. Classic red and white striped liner. 15" (38cm) internal laptop sleeve. 17.5" H x 12.5" W x 6" D | 44.5cm x 32cm x 15cm (approx. ).